When I was little I remember a girl in my class snipping a friend's fringe. We were in primary school, it was done with a pair of craft scissors and it left my friend with a fringe missing a 2" chunk. When asked what she was doing she replied "I was being a hairdresser"
Now, I'm sure as she is now grown up she wouldn't dream of getting scissor happy on someone's hair, but apparently some seem to think holding some scissors or a bowl of colour makes them a stylist. Tory MP David Morris, who has in the past managed salons, proposed The Hairdressers Registration (Amendment) Bill, meaning that all hairdressers would need to be registered the same way as doctors and dentists are. I think this idea is fantastic, as a qualified stylist I would be more than happy to register on a database and receive accreditation from an official body that is recognised by clients. I do feel that whilst a charge would no doubt need to be applied, the fee should be kept as low as possible. For hairstylists starting out in the industry, a large licence fee along with liability insurance if they are freelance would definitely be a negative - and whilst many would ensure they were registered it criminalises hairstylists who may struggle financially if the fee was large. If you went to salon or had a mobile hairdresser for your hair cut or colour you'd want to make sure they were sure on what they were doing. But do you ask? You may think it will sound silly or rude, but it's definitely something I'd recommend. Many won't mind if you ask if they are City & Guilds or NVQ Level 2 qualified, and if they do have a problem it may be worth asking if they are the right person for the job. Unfortunately, Mr Morris was unsuccessful and the bill was defeated by 4 votes. Incredibly close, and it show's that in time something will need to be organised to ensure the safety of people who put their hair in a stylists hands. I find it incredibly scary that ANYONE can just say "I'm a hairdresser" and use some serious chemicals on hair. When you are training you feel proud receiving your qualification and even more so when you help give someone a great cut or colour - I don't want the industry tarnished by cowboy colourists or a foiling frauds. I'm really interested in hearing your thoughts on this. 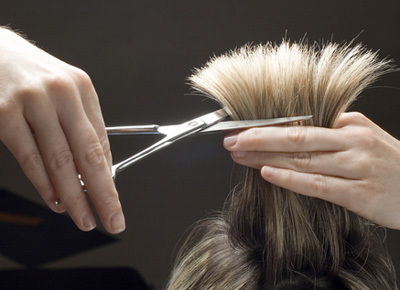 Do you think that hairdressers need to be regulated with stronger guidelines and rules? And if you are a stylist, would you be happy applying for a licence? I think it's a really good idea, although I'd be a bit nervous to ask if someone was registered in fear of insulting them!